The Dolby Hotel, a 64 bedroomed property in central Liverpool, have reported strong increases across the board since implementing Guestline hospitality software solutions. These include Guestline's award winning property management system Rezlynx, Guestline's robust EPoS, Guestline Distribution and PCI Solutions. Cloud hosted and used in thousands of properties worldwide, Guestline's solutions embrace next generation technology and empower hotels with revenue generation capabilities, flexibility and enhanced control. Gavin Shelton from The Dolby Hotel Management Team explains, "2016 average room rate was up 4% on 2015 which had previously held the record for the highest we have achieved to date. I genuinely did not think we could ever make an improvement on 2015 as this had beaten the previous record by 10%. 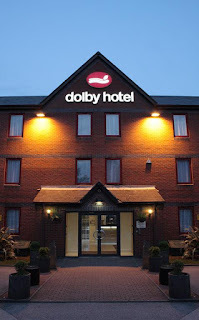 Implementing Guestline was the best decision we could have made at The Dolby Hotel. We have substantially increased the number of direct bookings we take via our own website, which I attribute to bookers taking advantage of the easy to use Online Booking Manager. The easy to use, yet very powerful rate control, has allowed us to use rate restrictions to improve length of stay during high demand periods, and this has contributed hugely to our record-breaking figures. The comprehensive Channel Manager connects to all of the top performing channels in real time allowing our complete available room inventory to be on the market at all times." The Dolby Hotel have seen overall turnover up by 6% on the previously recorded best year and yield up by 7%. Reduced operating costs, together with streamlined, automated processes, have allowed the team to concentrate on their guests. In addition, by using one of Guestline's many user-friendly interfaces, they have successfully increased the number of TripAdvisor reviews five-fold following the implementation of Guestline and TripAdvisor's latest tool, Review Express.